Custom size need add extra cost,if you want custom size,please contact us before order,Thanks! The best product quality, the best price for you!The best service for you! A: To make sure all the buyers could get the parcel in time and safely, most of our parcels are send by HK DHL and EMS, expect some countries (Russia, and Middle East) which have troubles with custom clearance, we send by EMS only. Please kindly noted. 3.Q: Why we still don’t receive the parcel after the parcel sent out for a long time? A: The most reason is the delay while custom clearance. For our buyer don’t pay big tax when you get it, we will apply a low value at the custom, but if the custom is strict, the parcel will be delay or return when transport to HK, another reason is when the parcels be return, we have to arrange resend the parcels. 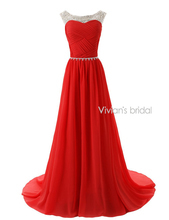 Please don’t worry, for sure we will send the dresses to you as soon as possible. A: Since we are manufactory, we have lots of orders and they are complicated. 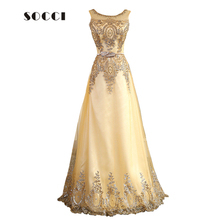 If you have urgent requirement please confirm with us before you make the order, because most of our products are hand-make, rush time sometimes will cause the dress is not perfect, and this is not good for the both size, we don’t want any defect dress send out from our factory. Hope you could understand us. A: Client only need to pay $100 at the first and supply you design of the label, we will make the label for you on all the dresses that you buy from us, and don’t need to pay extra fee( expect client change the design of the label).